When I was a kid, I thought grapefruit were big oranges. Surely I was not the only person deceived by a grapefruit. They look so sweet with its bright pink color. Unfortunately, the first time I tasted one I was really disappointed because it was not as sweet as an orange. Later, I learned to appreciate grapefruit and I like to eat them for breakfast. Grapefruit is the only fruit that is associated with a fad diet, the Grapefruit Diet. People have been doing the Grapefruit Diet for decades with the thought that grapefruit burns fat. It doesn't burn fat, but since it is a kind of elimination diet, people do lose weight. The truth is that grapefruit is rich in vitamin C and is low glycemic food. 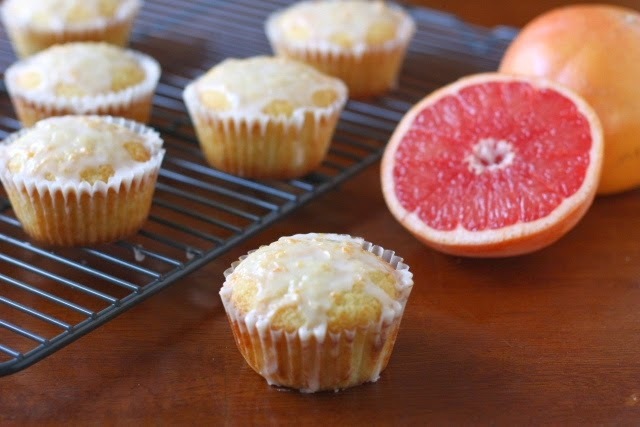 Grapefruit is not just for breakfast anymore and can be used in desserts like pink grapefruit cupcakes. Check out the recipe on Cupcakes.